Despite still not being legal at the federal level, Alaska has taken a stand again by allowing canna-businesses to use the “Made In Alaska” logo. Despite still not being legal at the federal level, Alaska has taken a stand again, but allowing canna-businesses to use the “Made In Alaska” logo. For the long-term success of the legalization of weed, one of the most important factors is the normalization of its commerce, which includes recognition by the state. That can come in many forms, one of which just happened in Alaska, with the state allowing the industry to use its “Made In Alaska” logo. That will make it easier for Alaskans support their state’s local cannabis industry, as the state’s official “Made In Alaska” logo will be available to canna-businesses that have products that are at least 51 percent Alaskan in origin. While it doesn’t seem like a big thing, it is a major advancement the weed industry in Alaska, which is looking to get a foothold in the fledgling market. In a recent report from the Juneau Empire, industry leaders were all optimistic about the continued normalization of canna-business. Cary Carrigan, head of the Alaska Marijuana Industry Association trade group, said the “Made in Alaska” decision matters because it’s a sign the state is continuing to normalize its attitude toward marijuana and treat marijuana businesses the same as others. Although, while normalization is a key component to the advancement of the legal weed industry, unfortunately, it can only go so far when federal law is holding it back from fully flourishing. But, lucky for Alaskan canna-businesses, they can participate in the “Made In Alaska” program, as it operates at the state level that is independent of federal funding. With that, due to that same legal framework, you won’t be seeing any “Alaska Grown” weed for the foreseeable future. That’s because that particular program does receive federal funds. While all the sources interviewed in the report were positive about this development, one did express concerns about the broader issues facing the weed industry. Jennifer Canfield, one of the owners of Green Elephant Gardens in Juneau, said the state’s decision is good news, but marijuana businesses still face obstacles that other businesses don’t, particularly in the way that they’re banned from the federally regulated banking system. It’s always good news when we gain opportunities that any other business has access to, but unfortunately, I can’t even take a ‘Made in Alaska’ certification to the bank. The lack of traditional banking options for canna-business is not just exclusive to Alaska, of course, as it is one of the main issues facing the legal cannabis industry across the United States – the legal states, of course. Due to the lack of banking options for the weed industry, it means the industry is a mess of cash counting machines and cryptocurrency schemes, which is also allowing other countries to surpass the legal states in the global market. 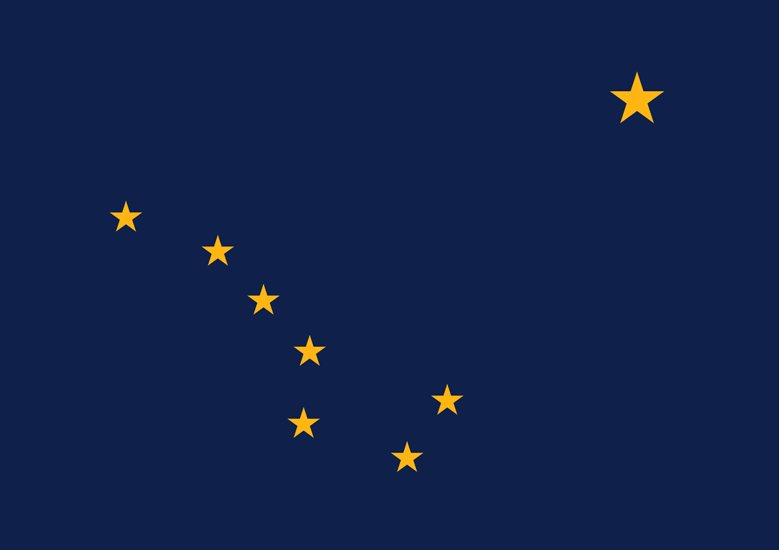 But there is one positive for those Alaskan canna-businesses, which is that “Made In Alaska” recognition, something that will help develop a positive brand identity.